Shovel Knight isn’t just a nostalgic act. Yes, nostalgia plays a big part in its charm, but it’s an expertly crafted action-platformer that’s just as enjoyable to play as Mega Man or Castlevania. 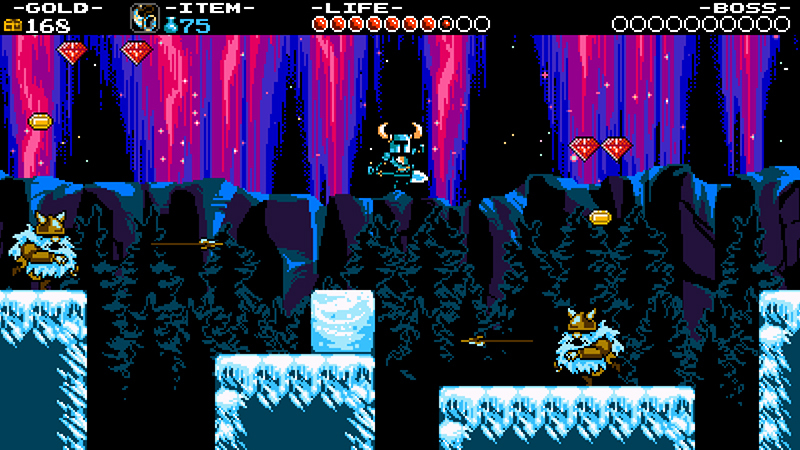 Old school gamers will love Shovel Knight’s retro sensibilities, but they’ll also appreciate its modern touches. My questions about the game's difficulty wouldn't matter if were talking about a lesser game, though. I simply wanted to love Shovel Knight even more than I already do. Shovel Knight is an exceptionally well-made action platformer, one worthy of being celebrated far beyond the nostalgic foundation it's built upon. Shovel Knight won't be the last old school game made in the modern age, but it's unlikely many others will be as much fun. I'll admit that my glasses are exceptionally rosy when it comes to the games that Shovel Knight is trying to emulate, but the point is that Shovel Knight goes beyond simply embodying the traits of its inspiration. It builds upon them, introducing us to an eccentric world that was clearly crafted with care. The rock-solid core mechanics are supplemented with vibrant art, intricate animation and odd, adorable little characters. 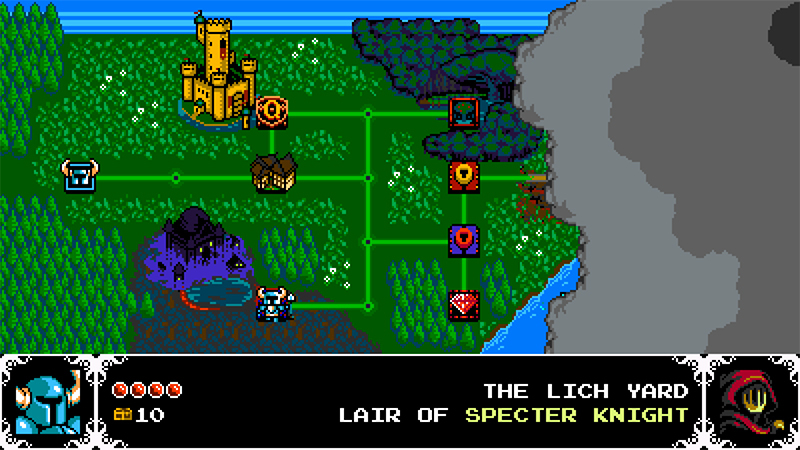 Shovel Knight isn't just inspired by 8-bit classics, it is inspired in and of itself. If you are at all into retro-styled games then this is the game you have been waiting for. Everything from the art to the gameplay, from the controls to the amazing chip-tune soundtrack came together to form a total blast of nostalgia with enough modern twists to keep it fresh. My only big gripe with Shovel Knight at the moment is that it felt too short, but with the developer adding in new features, such as a New Game+ mode, and four player battle arena later on, that issue should be remedied soon. 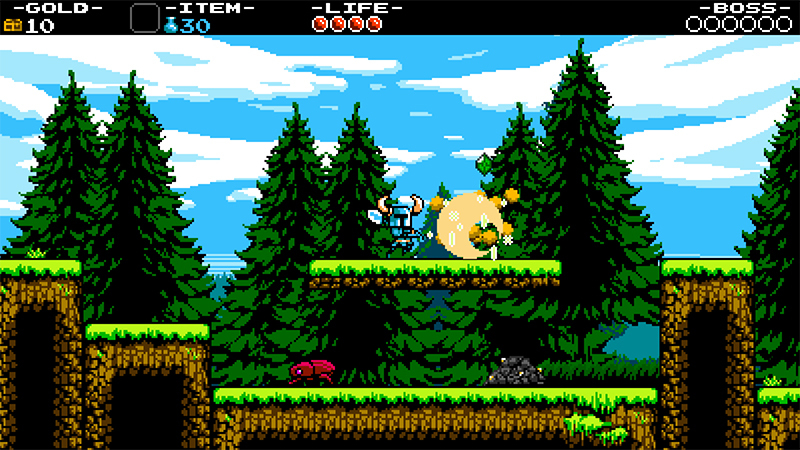 Yacht Club Games has a hit on its hands with Shovel Knight. With brilliant game design, charming presentation and a ton of content, this is a wonderful first title from the fledgling developer. It will only get better with post-release content, and if Shovel Knight becomes the hit it deserves to be, gamers will hopefully be seeing much more of Yacht Club Games — and its plucky mascot — in the coming months and years. At the end of the day I can’t help but love Shovel Knight. Maybe it’s because it reminds me of why I love gaming; the joy I felt as a kid playing games in a time when graphics and hardware didn’t matter. 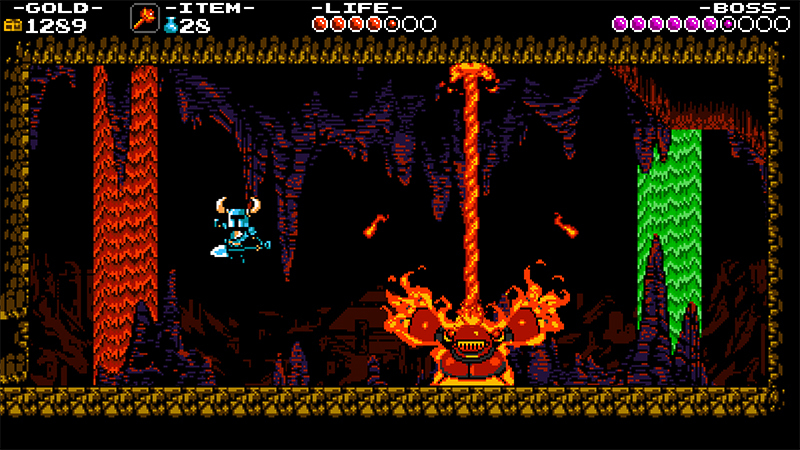 While paying tribute to the classics, Shovel Knight still feels unique with fantastic level designs that are extremely challenging and rewarding to complete. 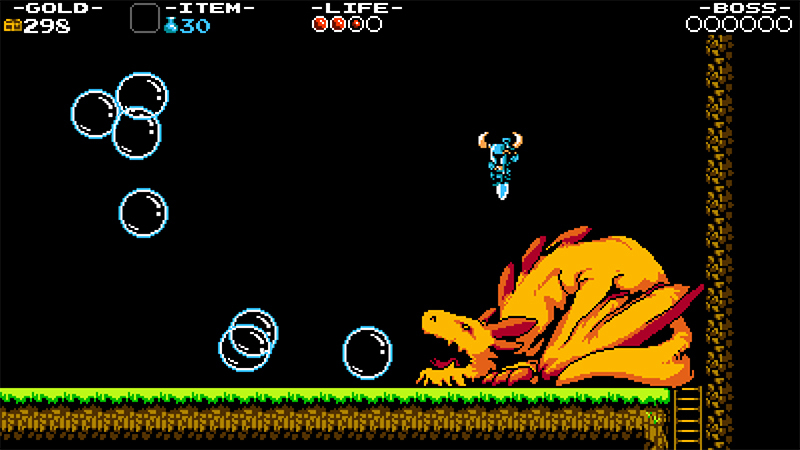 Shovel Knight is simply one of the best platformers I’ve ever played. 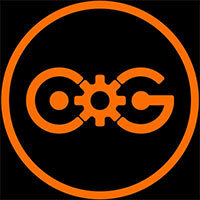 Its gameplay is finely tuned offering tons of variety per stage. It manages to combine all of these game elements so well it was hard to put down and kept me coming back for more. Yacht Club Games really ran with the 8-bit style and showed their labor of love for pixel art and tight gameplay. If you’re looking for a fresh platformer to play then dig up Shovel Knight. This is the best Mega Man game you’re going to play for a long time. Ainsi qu'un tout nouveau mode "Challenge" constitué de 50 niveaux, et l'accès aux différents contenus téléchargeables gratuits prévus pour le futur (mode duel, nouvelles campagnes dédiées à d'autres chevaliers, etc.). Il y a donc de quoi s'éclater pendant de nombreuses heures, et retrouver à coup sûr les sensations de notre enfance ! Este é apenas um exemplo do trabalho meticuloso e excelente desempenho levado a cabo pela Yacht Club Games neste magnífico jogo que é realmente mais do que uma carta de amor aos fãs da geração 8-bit. Pode assentar em alguns modelos e sistemas clássicos, e contemporâneos, mas é uma produção organizada, de acção e desafios crepitantes e com uma surpreendente direcção artística. Qualquer amante da época 8-bit não deixará de dar por muito bem empregue o tempo passado com o jogo. Um dos melhores do ano. 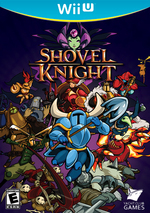 Um pequeno presente para os jogadores de NES ou para quem goste de retrogaming em geral, Shovel Knight prova que com apenas uns actuais, os jogos de gerações anteriores ainda conseguem manter-se de pé. Com uma qualidade inegável, é altamente recomendado a todos os fãs do estilo. Heb je Shovel Knight nog steeds niet gespeeld? Waar wacht je nog op! Shovel Knight is een geweldig uitdagend game, niet alleen voor retro gamers maar voor iedereen die houdt van platformgames. Zeker met de geplande DLC die binnenkort komt is het een no-brainer; Shovel Knight is dè game om te downloaden op de eShop, zonder twijfel.